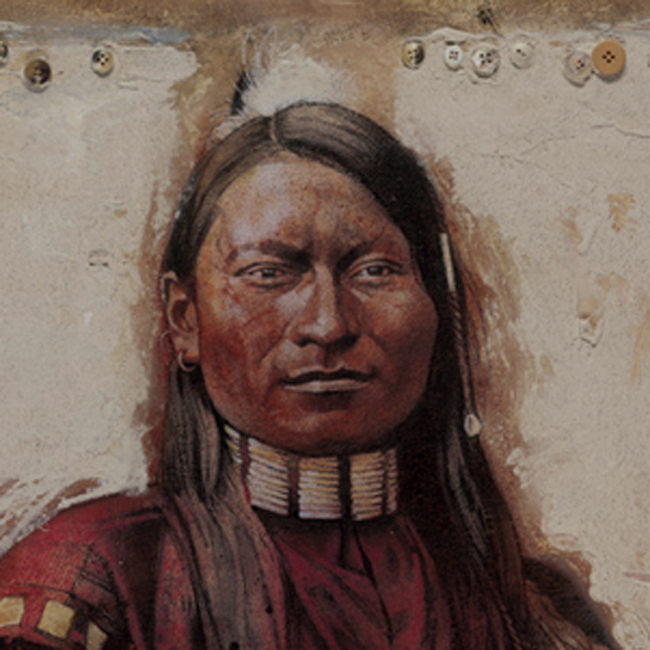 This painting of Red Armed Panther, or Red Sleeve, was inspired by one of L.A.Huffman's finest photographic portraits. It captures the beauty, dignity and sense of self-worth that is so often found in Plains Indians. Signed and dated "drew 2000"